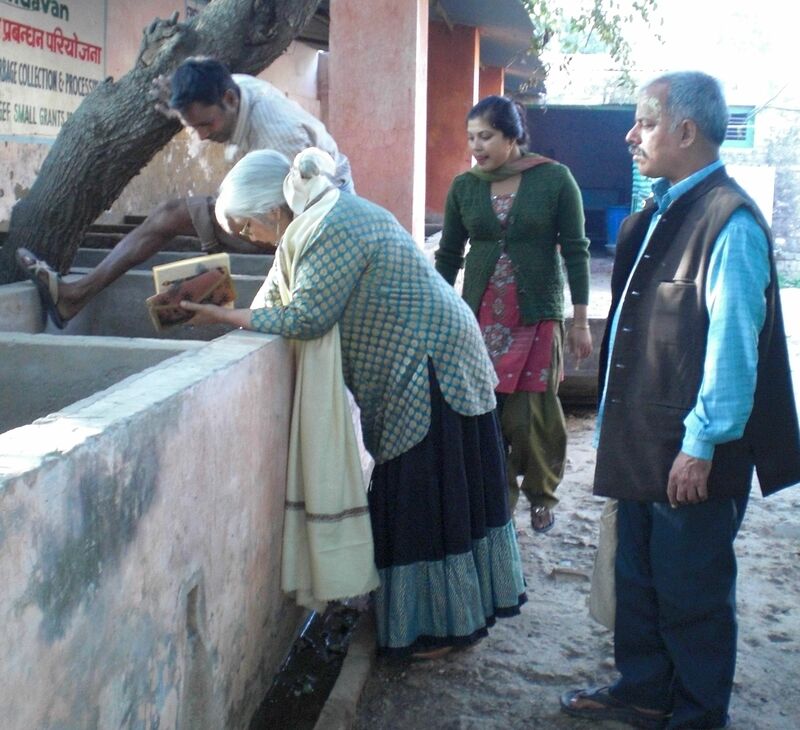 Noted environment activist Dr. Iqbal Malik visits Friends of Vrindavan’s waste management programme. She was accompanied by her colleagues working at Vatavaran. She was impressed to see the waste management programme, and gave some tips to FoV volunteers on how the waste management programme can be implemented in a better way. While she praised the initiative, she has ordered some recycled paper products permanently to be sold to Vatavaran. She showed her interest to buy the vermi-compost organic manure and other recycled products. BVHA convener, Madhumangal Shukla was also present during her visit. It was insisted that Friends of Vrindavan and Vatavaran works in partnership to bring a change in the temple town of Vrindavan.